Successfully Added VKWorld VK6735x 4G Smartphone - Quad Core CPU, Android 5.1, Dual SIM, Smart Wake, Hot Knot, 13MP Sony Camera (White) to your Shopping Cart. VKWorld have a reputation for offering great specs at affordable prices and the VK6735x continues that tradition as its one of the most affordable 4G phones on the market. With dual SIM support and 4G connectivity for one micro and one standard size SIM card you can get the fastest cellular connections without breaking the bank. Running on a Quad Core MTK6735P CPU and with 1GB of RAM the VK6735x brings a reliable performance that will be sure to meet your needs and lets you enjoy all manner of games and multitasking. The Android 5.1 OS with its proficient multitasking capabilities is enhanced further still thanks to Smart wake technology - a real treat on this mid range phone and a great way to enter apps from the locked screen. While other budget pones may scrim on the extras this one raises the bar and you get an impressive 13MP Sony rear camera packed in for some great photography options. The front shooter even boasts 5MP photos for some great selfi shots. 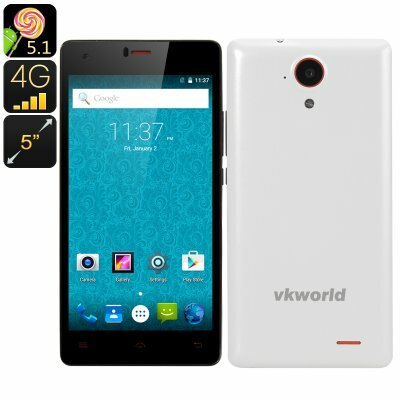 This VKworld 6735x Smartphone comes with a 12 months warranty, brought to you by the leader in electronic devices as well as wholesale Android phones..